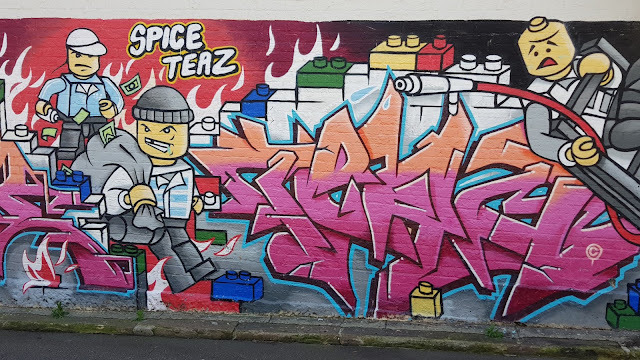 This mural is on the side of a house in on the corner of Cowper Street and Campbell Lane, in the inner city suburb of Glebe. On a house? Wow, that's really bright! It's on the side of a house, in a laneway, so it's not so bad. A mix of Duplo and some fun characters. Love the colour and movement on the mural. Thanks for participating Jim. That adds brightness to a dreary day! 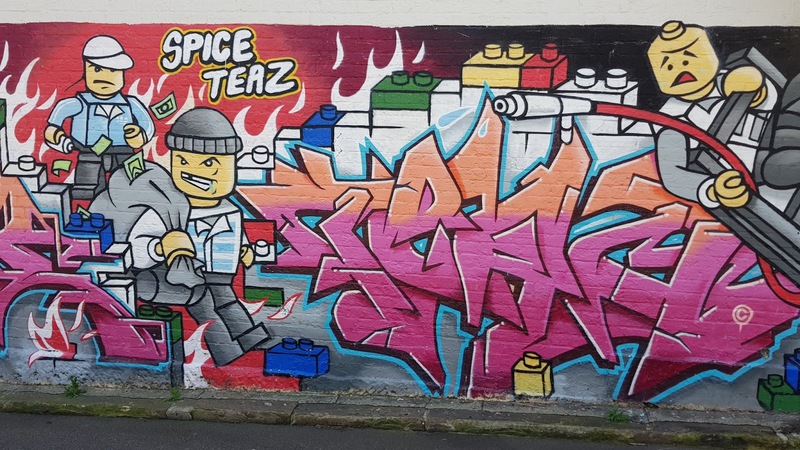 The characters in the mural look like they mean business!